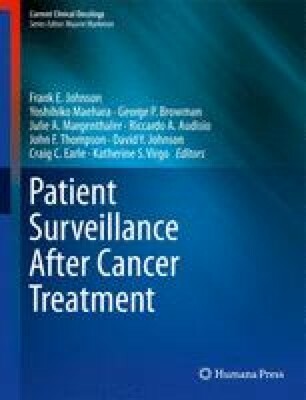 Surveillance for colorectal cancer should aim to identify recurrence at a point when therapy, in the form of surgery and/or adjuvant therapy, could impact survival duration and/or quality of life (QOL). The identification of metachronous neoplasms and early diagnosis of other conditions also improves overall survival duration . Standardized surveillance strategies are also important to provide information to drive quality improvement through audit of outcomes against professional and national standards. Primrose J, Mant D. A randomised controlled trial to assess the cost-effectiveness of intensive versus no scheduled follow-up in patient who have undergone resection for colorectal cancer with curative intent. A protocol. Website -http://www.controlled-trials.com/isrctn/pf/61091474.